Beaver Blaster - Moar Stuff - You don't need it but you know you want it. $19.95 $19.99	Get Your Stuff! This Beaver Blaster looks like a children’s toy but, it has double endrendrum written all over it. I mean, it’s a cute little (apparently shaved and slightly pinkish) beaver that likes wood (as most beavers do) and you stuff balls into its mouth. To use it, all you have to do it put the balls in its mouth. Make sure they’re deep in there. As with a lot of things, the deeper the better. Next, come in from behind and pull the tail then smack it send the load flying up to 20 feet. Since it’s a little tight, you can probably only get one ball at a time in there but, if you work it right, and with enough force, you can get two in at the same time without too much discomfort. As with most beavers (except certain ones from the Thailand) this one does not come with balls. So, you’ll have to supply your own to play with. There is space for your balls at the base of the stiff wooden shaft-shaped handle because this seems like a natural spot for them. 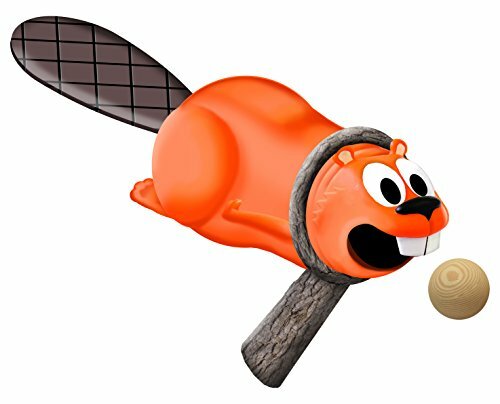 It comes with some “Dam” targets because, it’s a children’s toy after all and beavers build dams, right? Product Dimensions 9 x 5 x 7 inches. Shoots foam balls up to 20 feet. Fun gift for any hunter man, or teenage boy. They all love beavers.